This entry was posted in conference, GIS, training on 17 September 2018 by Nick. 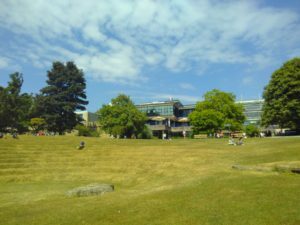 During the amazingly sunny weather a few weeks ago, I managed to spend a couple of days indoors, hiding from the sun at the ESRC Research Methods Festival at the University of Bath. 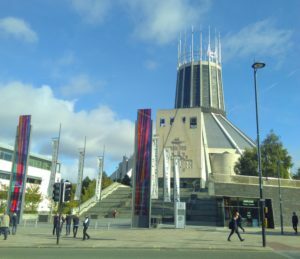 Every 2 years, the National Centre for Research Methods have organised this conference to showcase unique and new methods from across the social sciences. 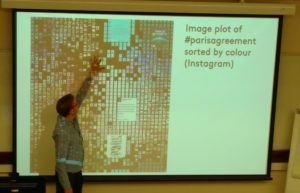 The conference covered everything from ‘Multi-scale measures of segregation data’ and ‘Quantitative methods pedagogy’ to ‘Do participatory visual methods give ‘voice’?’ and ‘Comics as a research method’. It was also fantastic to meet a range of academics and researchers who I would not normally meet. I met a number of people who I had communicated regularly with on Twitter, but never met in person before! Loved meeting long-term Twitter pals in the flesh at #RMF18 – @JacqPriego @bookworm_29 @Christina_QDAS @NickBearmanUK it was a pleasure! I was presenting in a session on ‘Multiscale measures of segregation data‘, where we were discussing different approaches to how deprivation can be measured across different locations. One of the major characteristics of grouped spatial data is the MAUP (Modifiable Areal Unit Problem), where the method used to group your data will have an impact on the results of any analysis. The session was a great collection of presentations, all of us looking at similar issues but often taking quite different methods to approach them. I showed how using variograms based on the PopChange data set to look at spatial segregation can help avoid some of the impacts of imposing scales on the data, and instead use the data to tell us at what scales the variations are taking place. 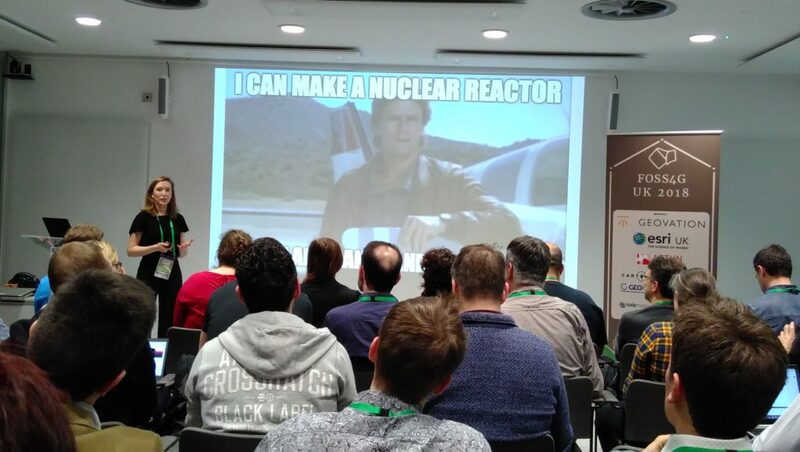 Like most conferences, there were so many interesting sessions and it was often difficult to choose which track to attend! 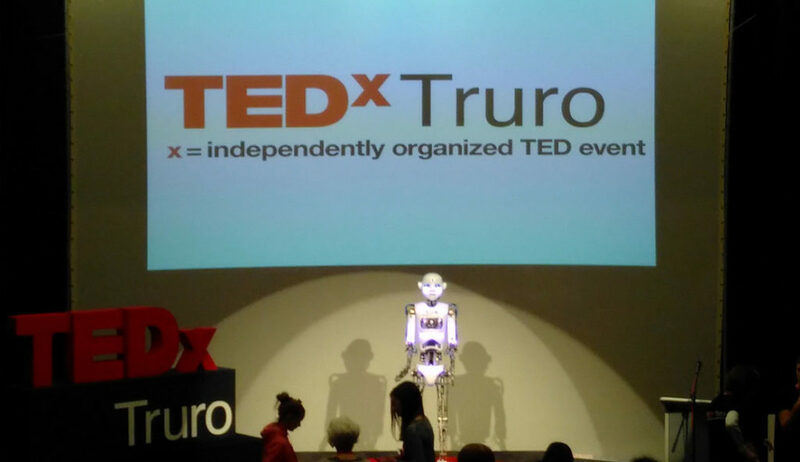 The keynotes were all thought provoking. Danny Dorling presented a range of interesting information on current levels of inequality in the UK, and warned us that it is likely to get worse before it gets better. Donna Mertens called on all of us to think about how our research can change things, and if it doesn’t, why not? It was a great methods conference, and reminded me about how many different methods are out there. If you would like a chat about how using GIS could help with your research or work, please do give me a call on 01209 808910 or email at nick@geospatialtrainingsolutions.co.uk. This entry was posted in conference, open source, presentation, R on 16 July 2018 by Nick. 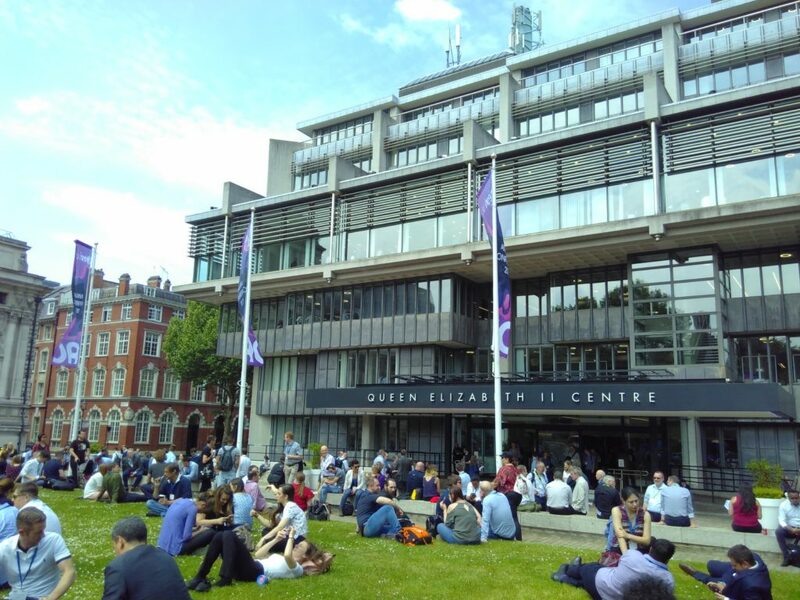 Last week I attended an amazingly sunny GISRUK (Geographic Information Science Research UK) conference in Leicester. 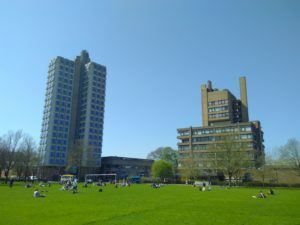 I have fond memories of Leicester, as I completed my BSc Geography (2003-2006) and MSc GIS (2007 – 2008) there. Much of the university and city has changed, but an amazing amount is still the same – both in the Bennett building lecture theatres and certain well frequented take-aways! I coordinated the Early Career workshops, where those early in their GIS careers (including, but not limited to, PhD and MSc students) came together for two half-day sessions to find out more about GIS as a career in academia and industry, to learn more and compare notes about their respective PhD/MSc experiences, and most importantly, to get to know each other before the main conference! 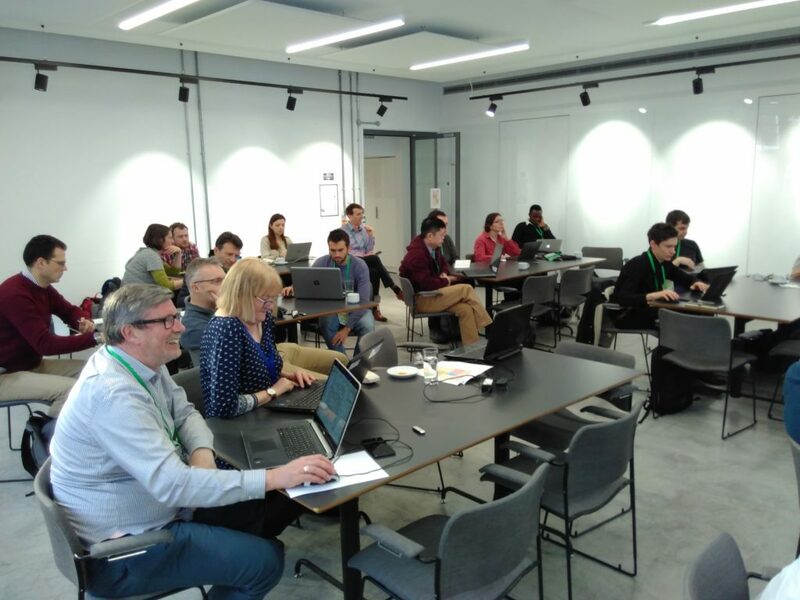 We had a great variety of input from James Norris (Ordnance Survey / Group on Earth Observations / AGI), James Kendall (RGS), Dave Unwin (ex University of Leicester & Birkbeck), May Yuan (Editor-in-Cheif IJGIS, University of Texas at Dallas), Addy Popy (ESRI UK) and Katie Hall (ESRI UK). The main conference had a great selection of talks and presentations covering every application of GIS from archaeology, to crime, health, transport, and urban studies! It is always a challenge to work out which of the three parallel sessions to attend, and I can’t attend everything. Particularly of note for me was Alex Singleton’s keynote on ‘Why Open Data are Not Enough’, discussing some of the issues with open spatial data, particularly in terms of data longevity which very much reminds me of this XKCD comic, and still really hasn’t been solved for spatial data. This was rather well illustrated by the CDRC Data Store that has been developed through the Consumer Data Research Centre; there is no mechanism for ensuring this continues after the CDRC funding finishes, and this is the norm with many academic projects. There was also a great presentation by Sam Cockings looking at how we can better model day time populations, from a variety of data sources. Integrating many real time data sources is going to be a key aspect of spatial data management in the future and I can see many projects using the skills and technologies Sam described. 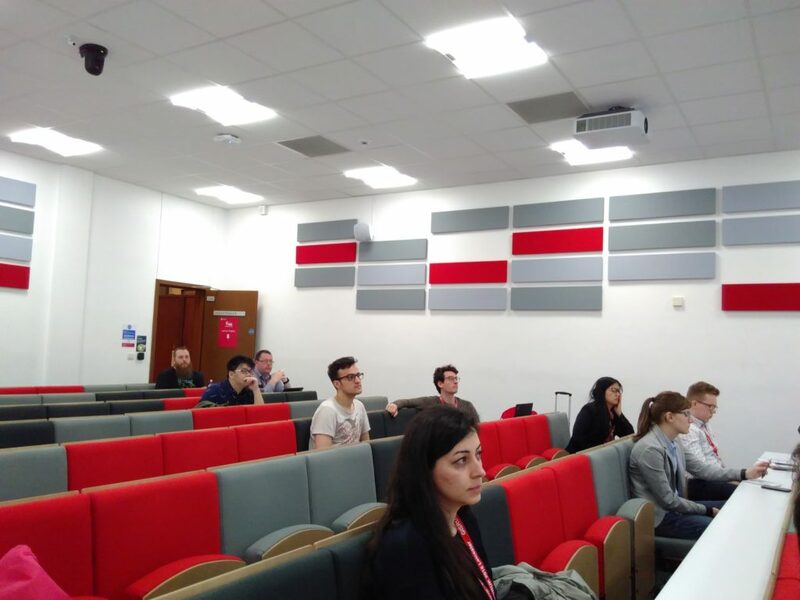 Next year GISRUK 2019 will be in Newcastle University, and I look forward to seeing you there! If you would like a chat about GIS Research, or GIS Training for small groups, please do email nick@geospatialtrainingsolutions.co.uk or give me a call on 01209 808910. 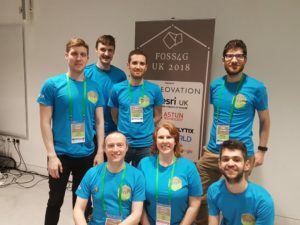 This entry was posted in conference, GISRUK, open source on 30 April 2018 by Nick. Cartograms are a great way of representing data that refers to people, and it allows you to give urban areas (which generally cover relative small areas) much more prominence than rural areas (which usually cover very large areas). The image below shows the usual geographic representation of the output areas, alongside the cartogram version. Note how the rural cluster (representing about 13% of the population) is very dominant in the ‘standard’ representation, but much less so in the cartogram representation. For my presentation at GISRUK2015 on TravelOAC (travel geodemographics) I was presenting a series of cluster data by 2011 Census output areas. Output areas are based around a standard population, with the result that many rural output areas are geographically large and many urban output areas are geographically small. When considering the classification data, it makes sense to give each output area equal consideration, so I decided to create a cartogram of the output area boundaries, based on the usual resident population. I used a piece of software called ScapeToad which is a quick and easy way to create a cartogram from a custom data set. They have a good set of instructions on their website and the processing of all OAs in England and Wales (181,408 areas, 79mb shapefile) only took 49 seconds. I was inspired by the cartograms used on the ONS Census Interactive website showing a range of variables. There are a number of ways of generating cartograms, and the ONS team used an approach based on http://lambert.nico.free.fr/tp/biblio/Dougeniketal1985.pdf where the browser does a lot of the heavy lifting. There is also an ArcScript available for ArcGIS at http://arcscripts.esri.com/details.asp?dbid=15638 which I used a few years ago and worked well then, but I’m not sure if it still does now! P.S. Unfortunately I didn’t manage to see Chris’s presentation on cartogram methods (http://leeds.gisruk.org/abstracts/GISRUK2015_submission_83.pdf) as it was on at the same time as I was presenting! This entry was posted in conference on 21 April 2015 by Nick. I presented my work on TravelOAC at GISRUK this year, based at Leeds. 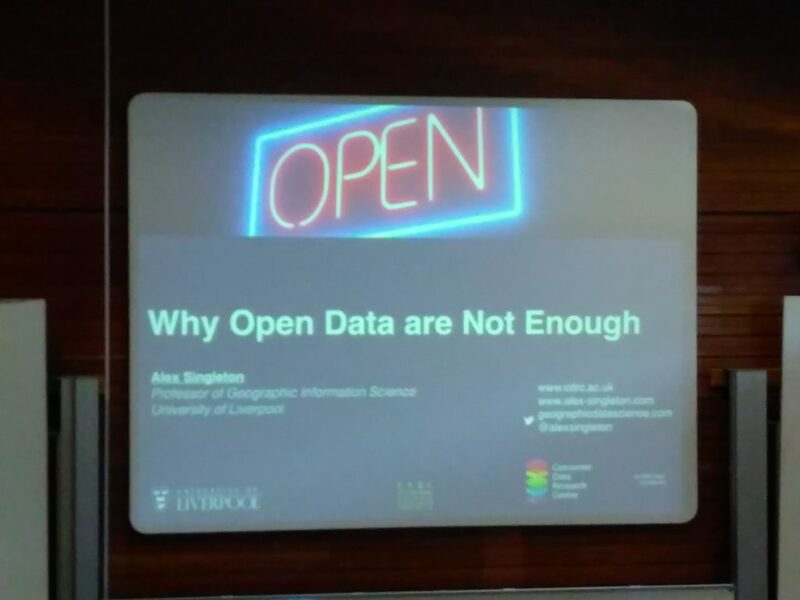 The conference was great and it was a great opportunity to meet an incredible range of people involved in GIS, from engineers, historians, social scientists, spatial information scientists (as they like to be called! ), mathematicians and, of course, geographers. 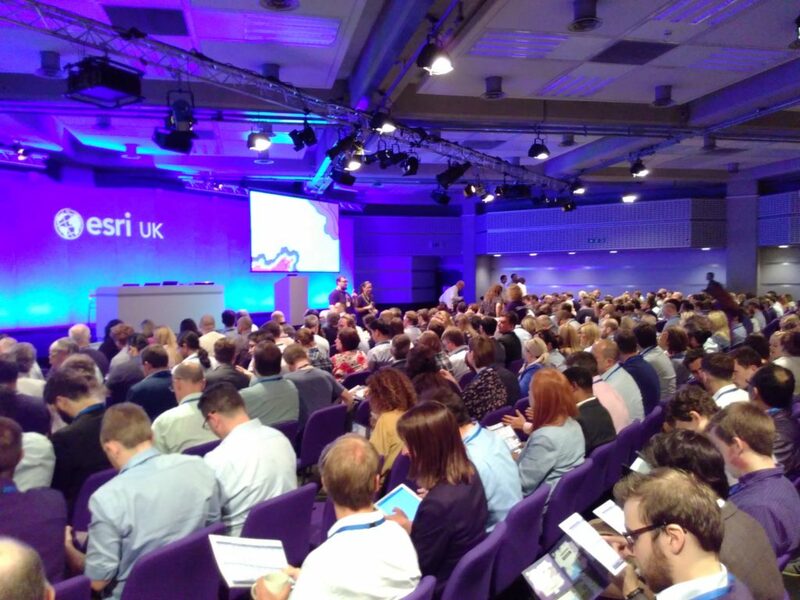 We had a great crowd on Twitter as well (#GISRUK2015) who kept everyone up to date on proceedings, and I’d particularly like to mention @adjturner who has made his conference notes available online at http://bit.ly/GISRUK15. 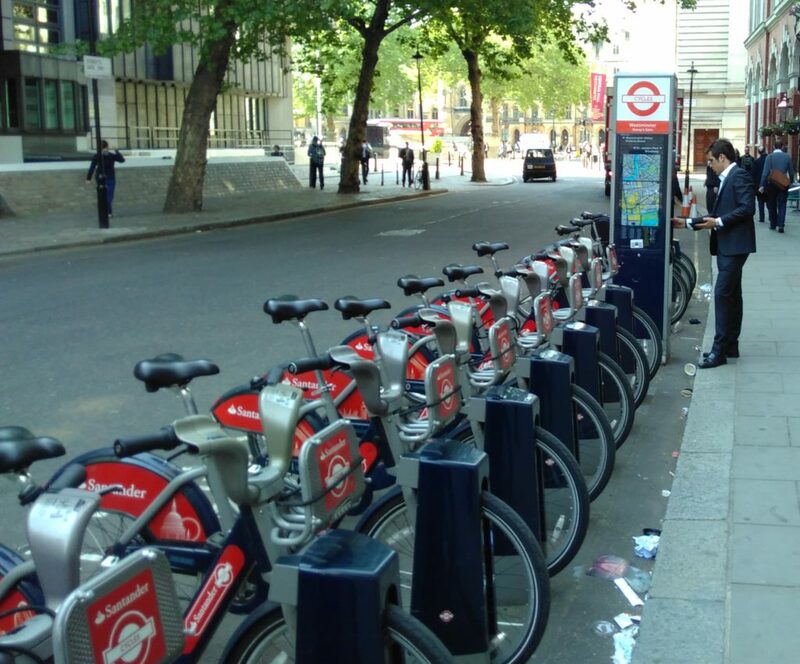 I was also involved in the GIS for Transport Applications workshop, which Robin has written up. Next year, we are at Greenwich, so see you there! My slides and paper are available, and I have also written a post about how I created the cartograms I used in my work. This entry was posted in conference, presentation on 21 April 2015 by Nick. 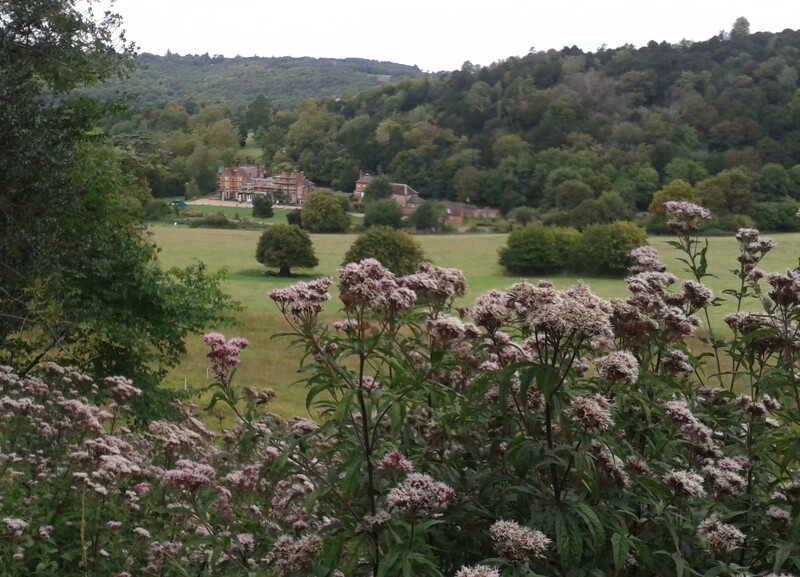 Last weekend I attended the INLT Writing Retreat, at the Juniper Hall Field Centre set in “an unspoilt area of the chalk North Downs”. The INLT (International Network for Learning and Teaching in Geography) is a group of geographers who want to improve the quality and status of learning and teaching of geography in higher education internationally, and every couple of years or so, get together for a writing retreat. 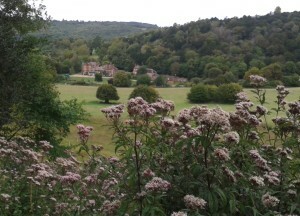 I’d never been on a writing retreat before, and I really had no idea what to expect. In fact, I may not have even attended if it wasn’t for a HEA GEES workshop in Manchester on 23rd May where Helen Walkington plugged the INLT writing retreat workshop. Once signed up, we did some work on our group topic (GIS Learning, spatial literacy and spatial citizenship) beforehand and laid out a few ideas. However it wasn’t until we were in the room together that the ideas for our JGHE paper started flowing. A mixture of writing group sessions and sessions with everyone enabled us to develop our ideas, get some very useful feedback, refine the ideas, collect some data, and do some data discussion all in a day and a half! It was an amazing experience and I would recommend attending a writing retreat for anyone who wants to get their teeth into a discussion in their area, and get to meet some of the big names in their field. Also posted on INLT website at: http://www.ucd.ie/t4cms/Collated%20reflections%20formatted.pdf. This entry was posted in conference, writing on 3 September 2014 by Nick. Talk given at the GISRUK 2014 at the University of Glasgow 18/04/14. This entry was posted in conference, presentation on 18 April 2014 by Nick.